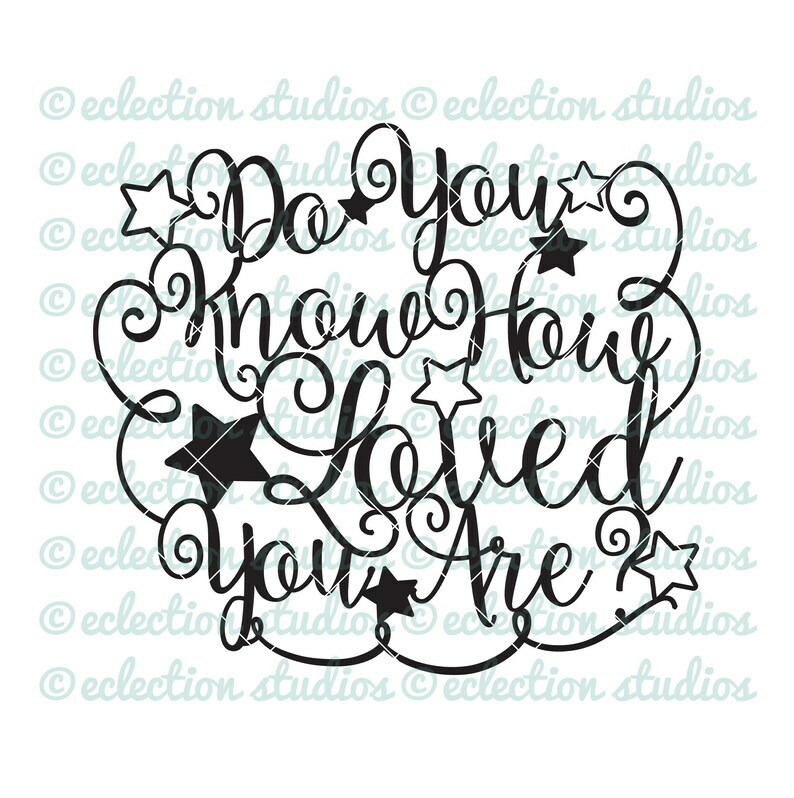 "Do You Know How Loved You Are?" baby shower, welded and designed as a solid piece cake topper. You get a zipped folder containing a JPEG, PNG, SVG, DXF, and EPS file formats ready for to print or cut and add to your own creations. These words are welded/compounded together into a solid design. Words can not be moved or edited.